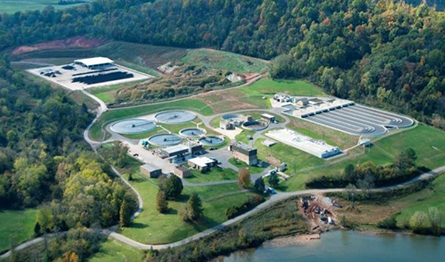 Project Description: This project consisted of an upgrade and expansion to the Maryville Regional Wastewater Treatment Plant from 10.0 MGD to 17.0 MGD to help meet the demand of over 21,000 customers in the cities of Maryville and Alcoa, Tennessee and the Knox-Chapman Utility District. 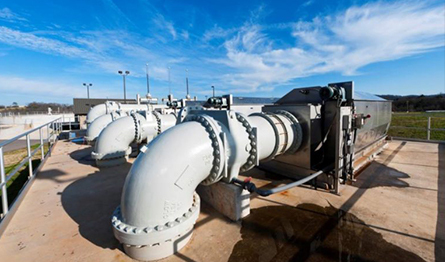 The Wastewater Treatment Plant includes a new headworks, two new biological nutrient removal/oxidation ditch reactors that do not utilize any added chemicals in the removal of nitrogen and phosphorous and two new final clarifiers, while incorporating three existing final clarifiers, for state-of-the-art wastewater treatment; along with “green” autotermal termophilic aerobic digestion (ATAD) reactors and a windrow method composting facility to convert biosolids into a totally reusable soil-like product. Key Personnel: J. Gregory Davenport, P.E. J. Roy Wauford, Jr., P.E. Stephen C. Lee, P.E. Robert S. Qualman, Jr., P.E. Kevin Young, P.E. Construction Cost: This project is complete at a total construction cost of $32,111,271.